Invigorating and refreshing, a teen facial promotes a clear, healthy, and glowing complexion. Whether you have oily, dry, sensitive, or combination skin, there are a variety of treatments that you can try, which benefit youthful skin. Home treatments provide a practical solution for many teens. Different skin types need different types of cleansers, facial masks, and exfoliation, so it's important to first assess your skin type. A teen facial for oily skin should include cleansers formulated for oily or acne-prone skin, with an ingredient such as salicylic acid, benzoyl peroxide, or tea tree oil. Masks for oily skin should be clay based rather than gel or cream based, and moisturizers should be oil-free. Zero Oil Deep Pore Cleanser with Saw Palmetto and Mint by Origins contains pore-minimizing salicylic acid to help eliminate excess oil and reduce shine. At $23, its formula is maximum strength and gently foams to leave you with clean, tingly, and refreshed skin. Charcoal Rescue Masque by Dermalogica is an all-in-one treatment that detoxifies, brightens, and invigorates oily skin for $47. Its ingredients, including tea tree oil, volcanic ash, sea silt, bamboo extract, and alpha-hydroxy acids, work together to refine pores and exfoliate the skin. For combination skin, use mild cleansers or those formulated for combination skin. You can use lighter, oil-free moisturizers in the oily areas and a more hydrating moisturizer in the dry areas. Look for products containing alpha-hydroxy acids as these help to normalize your skin tone. Kiehl's Ultra Facial Cleanser is suitable for all skin types and only costs $10. As well as being specially formulated to remove dirt and dead skin cells without over-drying the skin, it's pH-balanced to help maintain your skin's natural balance. It contains squalane, apricot kernel oil, vitamin E, and avocado oil. 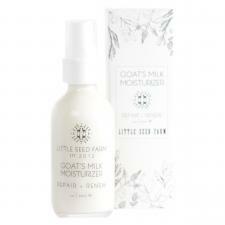 Goat's Milk Moisturizer by Little Seed Farm keeps your face looking radiant and feeling fresh for only $26. The ingredients, which include alpha-hydroxy, antioxidants, aloe, witch hazel, and shea butter, help to repair and renew all skin types to reduce redness and achieve a calm, glowing finish. Teens who suffer from dry skin should opt for mild, moisturizing cleansers and hydrating masks for facials. Avoid toners containing alcohol, witch hazel, or other ingredients that will strip moisture from the skin. 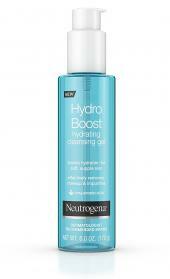 Neutrogena Hydro Boost Hydrating Cleansing Gel creates soft and supple skin for $9. Its lightweight gel formula transforms into a silky lather and clinically proven to increase the skin's hydration level and lock in moisture. All the ingredients are soap-free, oil-free, hypoallergenic, and paraben-free so that they don't clog pores. In terms of a facial mask, try the ThirstyMud Hydrating Treatment by Glam Glow for $59. 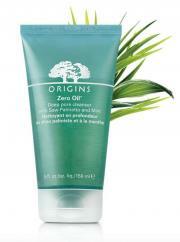 This product uses the most advanced moisturizing technologies, along with gentle ingredients to provide deep hydration. It restores, replenishes, and calms the skin instantaneously. Those with sensitive skin should use very mild products or those designed for sensitive skin use. Use exfoliating scrubs or cloths sparingly and gently, and no more than once a week (this is only necessary if the skin is dry). Use a soothing toner and a light, non-irritating moisturizer for facials. 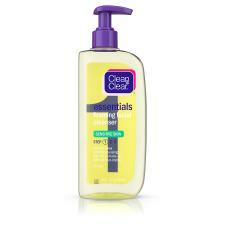 For a cleanser, try the Clean & Clear Essentials Foaming Cleanser for Sensitive Skin at only $7. It's specially formulated for sensitive skin to remove impurities that can cause breakouts. As well as being oil-free, it contains mild ingredients that keeps skin clean but won't over-dry it or cause irritation. To tone your skin, use the Aloe Vera Toner by Mario Badescu for $15. It's one of the mildest toners on the market for the most sensitive and dry skin. Along with aloe vera, its alcohol-free mild ingredients sooth irritation and remove any pore-clogging debris from the skin's surface. Natural facial ingredients can create beautiful skin and save you some money compared to buying costly products. Many of the ingredients for home facial recipes are already in the cupboard, pantry, or refrigerator. This is suitable for all skin types to balance the skin's pH level. Mix 1 part apple cider with 10 parts quality water. Apply to the skin gently with a cotton ball. Allow to dry for a few minutes and then rinse off. A strawberry mask is suitable for all skin types and naturally cleanses and tightens pores. Use a quarter cup of mashed strawberries, 1 tablespoon of rice powder, and 3 tablespoons of yogurt. Apply it directly to the face for 20 minutes. This is for normal to dry skin types as it nourishes and hydrates the skin. Mix 2 tablespoons of honey, 2 tablespoons of mashed avocado, 2 tablespoons of olive oil, and one mashed mango in a bowl. Apply to the face for 15 to 20 minutes. Wipe off the mask with dry tissues or rinse it away. This is suited to sensitive skin as it reduces skin redness and inflammation. Mash one ripe banana with orange and lemon juice and 1 tablespoon with honey. Apply it to your face for 15 minutes. The Just Peachy Facial Mask is for normal to oily skin as it soothes inflamed and irritated skin. Mash up a ripe peach and add it to a mixing bowl with 2 tablespoons of natural yogurt and half a tablespoon of baking soda. Mix well before applying it to the face and letting it dry. Remove with warm water and a washcloth. This is ideal for dry skin as it has skin-softening and smoothing properties. Make a paste-like texture using 4 tablespoons of powdered milk, 1-2 tablespoons of warm water, and 2 tablespoons of honey. Wet a washcloth with as hot of water as you can stand and spread the mixture over your face for 10-15 minutes. Place the hot washcloth over your face as you relax. Remove it with the washcloth and pat dry. For teens with skin problems like acne scars or skin discolorations, a more intensive facial might be the answer. Although more invasive than standard facials, these treatments can significantly help improve your skin's appearance. Photo Facials are given in a series of treatments, usually every three to four weeks for several months. A dermatologist administers a procedure in which light waves penetrate the skin to reduce the appearance of scars and discoloration. These can also be a form of rosacea treatment. You can now buy the relevant equipment to give yourself a Photo Facial at home via Amazon. For instance, the Project E Beauty Photo Facial Device uses radio frequency applied to the skin with high-speed RF technology to activate collagen cell regeneration. This tightens the skin and reduces the appearance of wrinkles, scars, and spots for $80. Similarly, the Trophy Skin RejuvaliteMD LED Light Therapy Beauty Device is clinically approved to reduce inflammation and boost collagen production, which ultimately improves skin tone and texture. It costs a slightly pricier $249 due to the fact that the LED panel is split evenly between UV-free red, yellow, amber, and invisible infrared bulbs to penetrate the skin at all levels. A microdermabrasion facial is a skin resurfacing technique that typically involves a device which applies hardened particles for heavy exfoliation. This treatment is often used for treating the signs of aging, but can also help teens with facial scarring. This type of facial requires repetition in order to receive its full effects, usually in a series of six to 10 treatments. Although originally only available through a dermatologist, many salons and spas now offer microdermabrasion facial treatments. Companies also now offer microdermabrasion products for home use. Just make sure that you avoid sun exposure as the skin is typically tender post-treatment. Try the Prox by Olay Microdermabrasion Plus Advanced Cleansing System for $47. This includes a Facial Cleansing Brush with a 3-speed system to customize your facial care routine, Microdermabrasion Foam Head, Thermal Crystal Polisher, and Exfoliating Renewal Cleanser. The products in the kit work together to exfoliate and gently polish away dull patches for smoother, brighter, and more even skin. 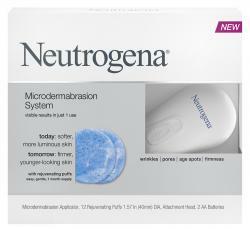 If you're looking purely for a massaging applicator, opt for the Neutrogena Microdermabrasion System for $24. 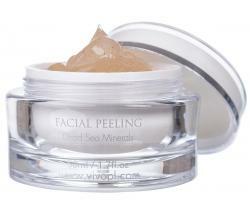 It helps reduce signs of aging, boosts surface cell turnover, and mildly exfoliates for firmer, younger-looking skin. A facial or chemical peel works by applying alpha hydroxyl or beta hydroxyl acids to the skin. At least six consecutive treatments are usually necessary depending on the severity of your skin problem. Like microdermabrasion, peels are available by dermatologists, salons, and spas. You might prefer at-home treatments because the cost is lower than professional treatments but still produce effective results. For instance, the Vivo Per Lei Face Peeling Gel costs just $12 and exfoliates your face gently without irritating the skin. As well as removing dirt and grime, it reduces the appearance of skin discoloration to brighten all skin tones. You can also try The Ordinary's Peeling Solution for around $14. This is designed to be used as a mask once or twice per week and contains alpha hydroxy acid. It evens out your skin tone and reduces scarring for clearer, rejuvenated skin. Deep Cleansing Facial - Costing about $90, this facial features cleansing skin treatment for all skin types, including steaming, blackhead extraction, cleansing pores, a treatment mask, and moisturizer to leave the skin smooth, refreshed, and glowing. Teen Facial - Costing about $75 and using products especially for teen skin, this facial addresses teenage skincare concerns and shows you how to maintain healthier and clearer skin. Oxygenating Facial - Costing around $125, an oxygenating facial features a multi-step treatment formulated with products designed to clear skin congestion, detoxify, control acne, and normalize skin. It also offers in-depth hydration that gives the skin back its natural radiance and glow. Diamond Microdermabrasion Clinical Skin Treatments - At about $125, this is a deep exfoliation of the skin that will replenish natural nutrients, restore cell activity, and promote skin health. 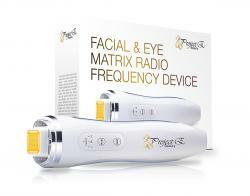 It removes skin debris, imperfections, blemishes, wrinkles and unwanted pigmentation for healthy, youthful-looking skin. Since the cost of a salon or professional facial treatment can be high, you may want to consider asking for spa gift certificates for birthdays or holidays. Even though it can sometimes feel like the end of the world, having problem skin as a teenager is very common. There are many treatments available that can help you obtain healthier, clearer, and brighter skin. Whether you indulge in home facials, DIY face masks, or salon facials, simply try different options to find out what works best for you and your skin type.